The Bushnell 78-9512 Deep Space Series telescope uses a two-lens, achromatic optical design to reveal extraordinary detail in the night sky. It features 60mm of light-gathering aperture, enough to capture the light of the brightest astronomical objects, including the moon, planets and stars. This telescope includes an altitude/azimuth tripod mount and a 5x optical finder scope. It also comes with two eyepieces and a 3x Barlow lens for viewing astronomical objects at several different magnifications. Lay the tripod on its side, and extend its legs to a comfortable viewing height. Tighten the locking screw on each leg, and stand the tripod upright. Loosen the altitude lock knobs on the tripod mount, and slide the optical tube into the mounting bracket. Tighten the lock knobs to secure the scope to the mount. Remove the two nuts from the finder scope mount on the telescope. Attach the finder scope to the mount, replace the nuts and tighten them to secure the finder scope. Find your first astronomical target. Because they are visible to the unaided eye, the moon and bright stars are the easiest objects to observe. Use sky charts to find objects not visible to the naked eye, such as galaxies and nebulae. Shift the telescope left or right and up or down to point it in the general direction of the target. Look through the finder scope and adjust the telescope to center the object in the field of view. Insert the 20mm eyepiece into the telescope’s focuser. Turn the focus knob until the object appears sharp in the eyepiece. Remove the 20mm eyepiece and insert the Barlow lens into the focuser. Insert the 20mm eyepiece into the Barlow to achieve 105x. Adjust the focus knob to sharpen the image. 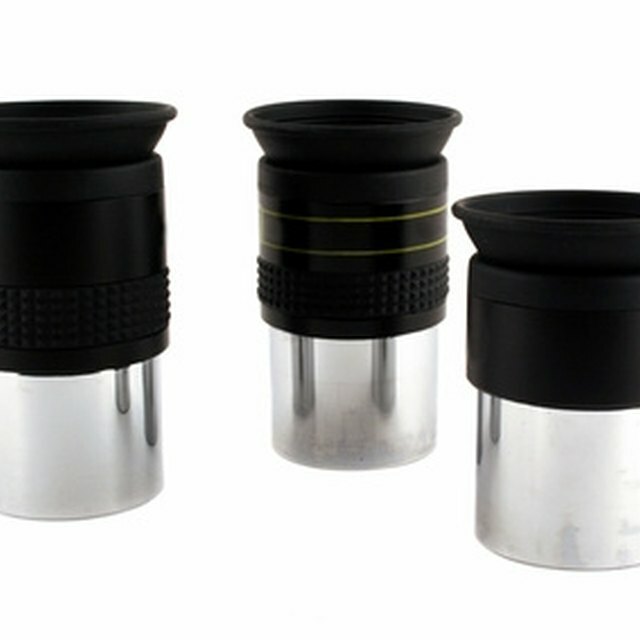 Replace the 20mm eyepiece and the Barlow with the 5mm eyepiece to magnify the object 140x. Insert both the Barlow and the 5mm eyepiece to achieve 420x magnification. Position the telescope away from artificial light sources, including streetlights and porch lights. Light pollution washes out the night sky and makes observing more difficult. Telescopes generally work best at magnifications below 150x. Use magnifications under 100x for large deep space objects, such as star clusters, nebulae and galaxies. Use higher magnifications to observe the moon and planets. Looking at the sun with a telescope will seriously damage your vision. Douglas, Joel. "How to Use the Bushnell Telescope 78-9512." Sciencing, https://sciencing.com/use-bushnell-telescope-789512-7445080.html. 24 April 2017.